Australian wildlife is full of surprises. I first discovered that crocodiles look a lot like alligators, but with a very different attitude toward humans. A trip to the museum’s George Observatory in Brazos Bend State Park often features an encounter with an alligator sunning on your path or floating like a log at the water’s edge in Creekfield Lake. You’re warned to keep dogs on leashes and leave the gator alone, but no fences restrain you or the gator. Australian crocodiles are more aggressive, and unfortunately recognize humans as food. 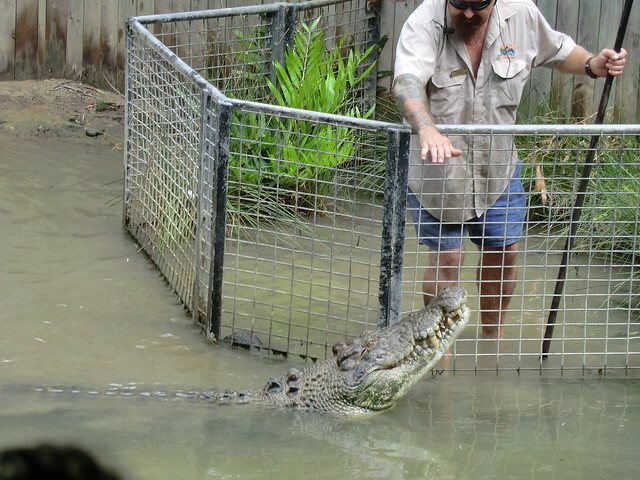 Fencing confines all the crocodiles at Hartley’s Crocodile Adventure near Cairns, Australia. And a boat ride in crocodile-infested waters requires all hands inside the boat with Plexiglas windows on all sides. An alligator show often features the handler taping the gator’s mouth shut and actually sitting on the patient gator. In contrast, a crocodile show is billed as a “Crocodile Attack Show.” It usually features only one crocodile that must be distracted when the keeper dashes across an open area to the protected spot for the feeding. 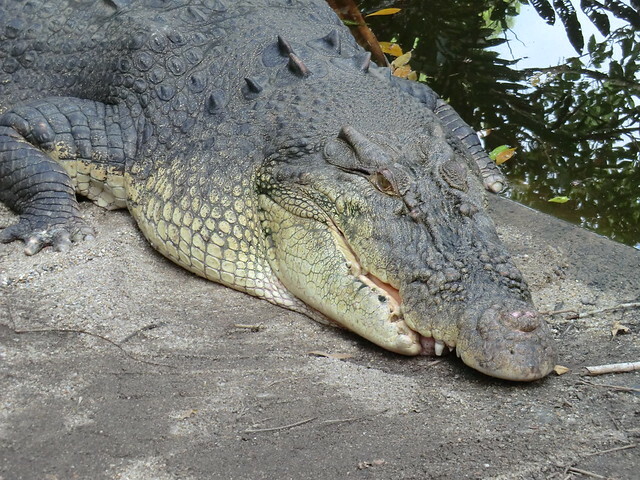 There’s nothing leisurely about a crocodile jumping for food or initiating a death roll when the food is attached to a rope that the keeper does not release. Koalas are as cute as crocs are deadly. Koalas are marsupials native to coastal regions of Australia. Like all marsupial babies, baby koalas are called “joeys.” At birth, a koala joey is the size of a jellybean! It has no hair, no ears, and is blind. Joeys crawl into their mother’s pouch immediately after birth and stay there for about six months. 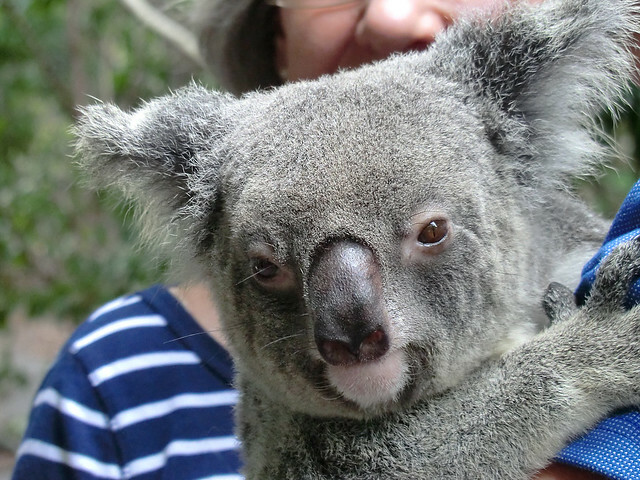 At Hartley’s Crocodile Adventure, we petted the soft fur of a female koala and watched an 11-month-old Joey still clinging to its mother’s back. Back in Houston, our only marsupial is the lowly opossum, which just doesn’t compare. Next Post Let it insta-snow: Make faux snow grow this holiday season!